Temple Mount, February 2012: Masked rock throwing "protestors"
Israeli police entered the Temple Mount compound this morning here in Jerusalem and, after an assessment based on the rock-hurling attacks carried out against Jewish visitors to the site over the previous hours, closed it to public access. Police entered the compound Wednesday morning after rocks were thrown as the Mughrabi gate opened to visitors. One policeman was lightly injured by a stone... 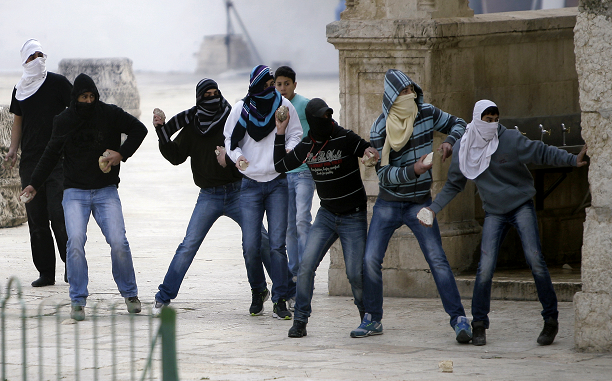 It was the second straight day that clashes were reported on the Temple Mount. On Tuesday, an Israeli police officer was injured when Arabs threw stones at a group of Jews visiting the holy site. 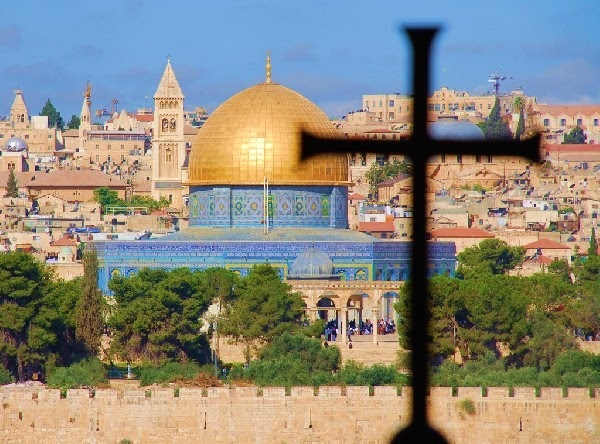 Wednesday is Jerusalem Day, when Israeli Jews mark the capture of the Old City from Jordan in the 1967 Six-Day War... 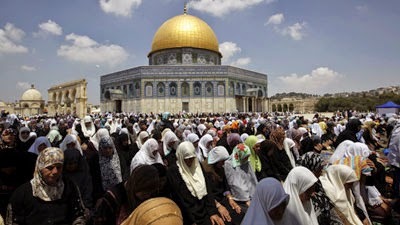 The Waqf Foundation, which administrates the Temple Mount, charged Tuesday that Israeli nationalists were planning to march through the al-Aqsa compound to mark the holiday. However, the parade will not enter the Temple Mount compound, but rather end at the Western Wall. An Israel National News report says the rock-throwers wore masks, not an unusual tactic. It says about a thousand non-Israeli tourists visited the site this morning, about four times the number of Israeli visitors, prior to the area's closure. That's what concerned Arabic-language readers will know. A more likely, less manipulative explanation for today's rock throwing and the general agitation among segments of Jerusalem's Moslem resident population and visitors comes in a Waqf article from yesterday. There the headline refers, in time-honored fashion, to "settlers" "storming and desecrating" the mosque on Tuesday. The rocks have been ready and prepared for some time. In reality, there was neither storming nor desecrating. Nor was there any breaking in. But there is a long history to provocations like this one emanating from parts of the Arab media. 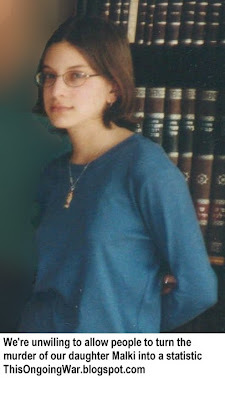 A 2012 study by Nadav Shragai for the the Jerusalem Center for Public Affairs, entitled "The 'Al-Aksa Is in Danger' Libel: The History of a Lie" [online here and downloadable in PDF and ebook form] shows how deep its roots are. The malicious inventiveness of those pushing the "Al Aqsa is in danger" mantra has covered a broad range of strategies over the decades, starting with the notorious mufti, Haj Amin al-Husseini, an associate and honored guest of Adof Hitler, an apostle of the Nazis, an advocate of their extermination plans for the Jews, the man they called “Fuhrer of the Arabic World”, and an uncle of Arafat. Shragai assembles documents, maps, photos and reports covering the past century to throw light on aspects that, if the stakes were not so life-and-death high. might seem funny. without leaving a fingerprint by means of creating an artificial earthquake; using colliding sound waves (which come from outside a wall and push it inward); using the creation of an aerial vacuum; creating artificial local lightning storms... 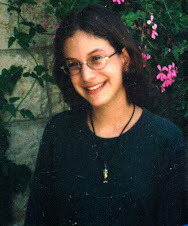 Most of the experiments were conducted already in 1999 under the waters of the Dead Sea and also in the Negev desert. The reports point to the fact that the underground foundation of the mosque has been hollowed out by the Israeli [archeological] excavations. The Zionist experts expect the structure to collapse as a result of damage to the balance between the external air pressure and the internal pressure. I request your guidance and instructions. In reality, it was the Waqf people who presided over a massive engineering project in 1996-1999 in which the area of the ancient temple site known as Solomon’s Stables was repurposed into a mosque. 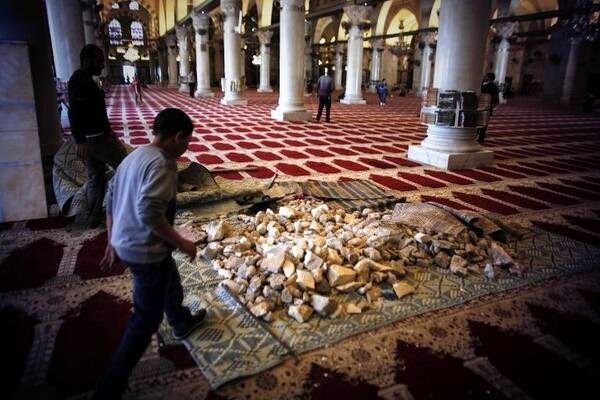 Their workers excavated an enormous pit in the soil of the Temple Mount causing irreversible archaeological damage. Shragai has pictures. As we celebrate Jerusalem Day today, the anniversary according to the Jewish people's lunar calendar of the day the city was captured from the occupying Kingdom of Jordan forces in 1967, most Israelis take pride not only at the city's huge progress in those 47 years, but also at the deep commitment in evidence to the protection of religious sites and religious rights for all who come here to worship. For anyone with an open-minded standpoint, it's a dramatic contrast to the anti-Jewish exclusionism and narrowness of today's Waqf and of the Jordanite Hashemites who, when they could demonstrate their open-mindedness in the years (1949-1967) in which this city languished under their illegal rule, took every possible measure to prevent Jewish worship and Jewish access, and systematically demolished and desecrated some of Judaism's most sacred objects and places. We get our share of hostile comments from people unmoved by our views. 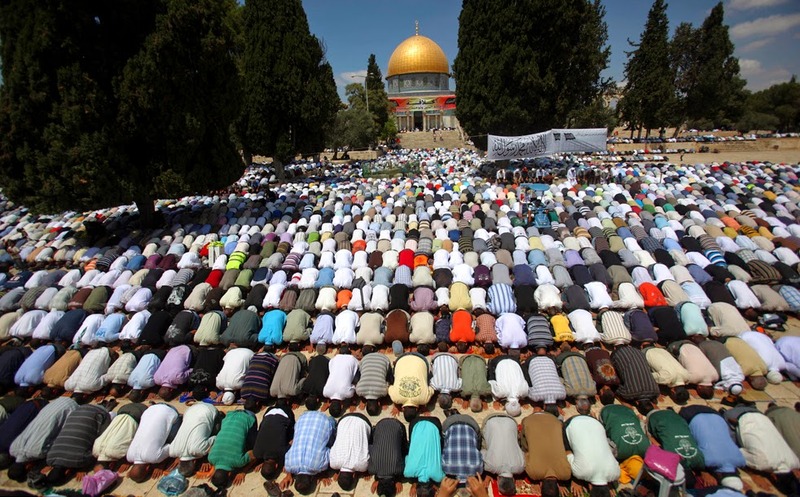 So for them, we close with some photos of Palestinian Arabs and other Moslem faithful worshiping on the Temple Mount under the watchful protection of Israel's government and military. when they prostrate during prayer says something.